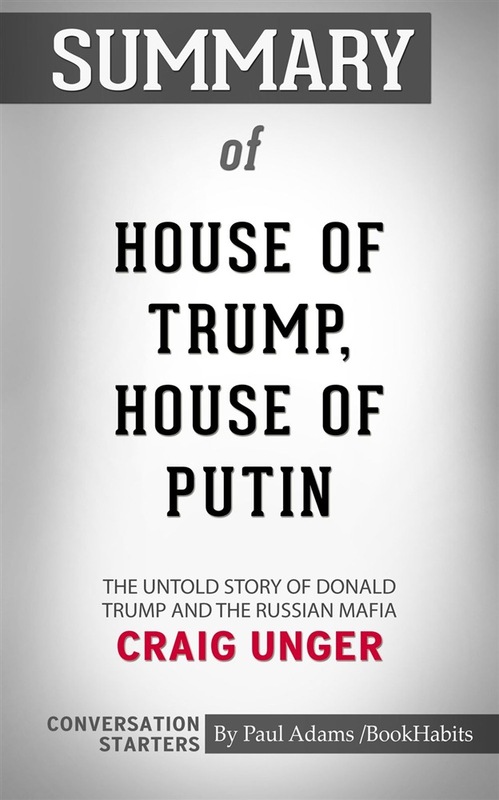 House of Trump, House of Putin: The Untold Story of Donald Trump and the Russian Mafia by Craig Unger | Conversation Starters The Trump presidency is the culmination of Russian president Vladimir Putin’s secret work. Putin and his oligarchs spent many years burrowing into the foundation of American democracy. The Cold War never really ended but evolved into a different phase. The book reveals the hidden alliance between Americans and the Russian Mafia. It uncovers how Russia regained its power after the Cold War and how it never stopped attacking the West. “Trump is actually working directly for the Russians,” a CIA intelligence officer says. 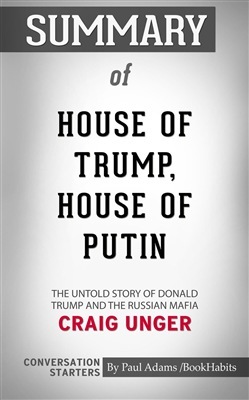 House of Trump, House of Putin is written by Craig Unger who is best known for his New York Times bestselling House of Bush, House of Saud. A Brief Look Inside: EVERY GOOD BOOK CONTAINS A WORLD FAR DEEPER than the surface of its pages. The characters and their world come alive, and the characters and its world still live on. Conversation Starters is peppered with questions designed to bring us beneath the surface of the page and invite us into the world that lives on. These questions can be used to... Create Hours of Conversation: • Promote an atmosphere of discussion for groups • Foster a deeper understanding of the book • Assist in the study of the book, either individually or corporately • Explore unseen realms of the book as never seen before Disclaimer: This book you are about to enjoy is an independent resource meant to supplement the original book. If you have not yet read the original book, we encourage doing before purchasing this unofficial Conversation Starters. Acquista Summary of House of Trump, House of Putin: The Untold Story of Donald Trump and the Russian Mafia by Craig Unger | Conversation Starters in Epub: dopo aver letto l’ebook Summary of House of Trump, House of Putin: The Untold Story of Donald Trump and the Russian Mafia by Craig Unger | Conversation Starters di Book Habits ti invitiamo a lasciarci una Recensione qui sotto: sarà utile agli utenti che non abbiano ancora letto questo libro e che vogliano avere delle opinioni altrui. L’opinione su di un libro è molto soggettiva e per questo leggere eventuali recensioni negative non ci dovrà frenare dall’acquisto, anzi dovrà spingerci ad acquistare il libro in fretta per poter dire la nostra ed eventualmente smentire quanto commentato da altri, contribuendo ad arricchire più possibile i commenti e dare sempre più spunti di confronto al pubblico online.